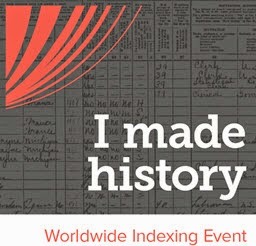 you have ancestors who lived in Tennessee, you have to check out the “Ansearchin’ News” Archives of the Tennessee Genealogical Society (http://www.tngs.org/ansearchin/index.html). There are also items of general interest as well as articles about other states. Depending on the issue, you may find bible records, marriage records, probate records, voting lists, tax lists, revolutionary and military pensioners, scrapbooks, wills, cemetery records, obituaries, land grants, mortality schedules, abstracts of wills, court minutes, book reviews and more. The online issues span from 1954 to 2011, and they are keyword searchable. How to Trace Your Genealogy (http://www.tngs.org/ansearchin/pdf/1954_1959.pdf). Parish Records of the Diocese of Virginia, 1653-1900 (http://www.tngs.org/ansearchin/pdf/1954_1959.pdf). Index to Tennessee County Courthouse Records Prior to 1860, Selected Counties (http://www.tngs.org/ansearchin/pdf/1954_1959.pdf). Helps in Hunting North Carolina Ancestors (http://www.tngs.org/ansearchin/pdf/1960-4.pdf). Research in South Carolina (http://www.tngs.org/ansearchin/pdf/1962-1.pdf). It really makes me want to explore the historical society journals from every state to see if my states of interest are mentioned. In an article entitled “Index to 1840 Census, Jefferson County, Tennessee” (http://www.tngs.org/ansearchin/pdf/1979-3.pdf), I found Cavalier Horner, Isaac Horner, John Horner, Pleasant Horner and William Horner—all names on my family tree. Further research is necessary, of course, but this gives me a good starting point. I feel pretty good about the Cavalier Horner discovery. There can’t be too many people with that name. There was a list of Perry County courthouse records in the 1954-1959 issue (http://www.tngs.org/ansearchin/pdf/1954_1959.pdf), which is valuable information since I have many ancestors from that county. Also in this issue is a list of Tennessee County Records available in the Tennessee State Library in Nashville. Nashville is just a short plane ride away! In the Spring 1972 issue I found a transcription of the 1840 Census for Perry County, Tennessee (http://www.tngs.org/ansearchin/pdf/1972-1.pdf). On this list I found numerous instances of Brashears (a variant of Brashear) and Horner. There was also a list of Revolutionary and military pensioners in 1840 in Perry County. I did not see any of my ancestors on the list. Sometimes what you don’t find is as important as what you do find. Also in the Spring issue was a list of the free taxable inhabitants of Grainger County for the year 1805. On that list is a Thomas Horner. I have a Thomas Horner on my tree but I don’t know where he lived. This might be a clue. In the Spring 1978 issue (http://www.tngs.org/ansearchin/pdf/1978-1.pdf), I found my 2nd great grandfather Thomas M. Brashear (you know the name if you have been following my posts) listed as a member of the House of Representatives of the Tennessee Legislature. I could go on, but I think you get the point. “Ansearchin’ News” is worth a peek. Thank you, Tennessee Genealogical Society! Dover Publications, Inc., Mineloa, New York, Electronic Clip Art, 1268 Old-Time Cuts and Ornaments, 2006. Dover Publications, Inc., Mineloa, New York, Electronic Clip Art,1200 Ornamental Letters, 2007.